I really enjoyed this week’s challenge – so much so that I made not one, but two cards! I can’t quite decide which card is my favourite … can you? And now it’s time to see what the rest of the Design Team have been up to. We have a wonderful guest designer joining us this week – the lovely Peg Coombes – and she has a real wow of a card to share with you! 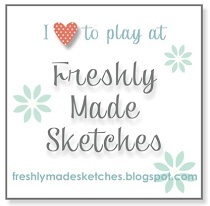 This lady is super talented, and such a nice person too, so I do hope you’ll stop by and give her some blog lovin’. I had the great pleasure to spend some time with Peg recently, and I can tell you her projects are just beautiful. I hope you’ve been inspired to join us this week. With now just over 13 weeks to go until Christmas, there is still time to get ahead with your festive cards, so why not show us what you’ve made? Everyone is welcome – just have fun! Tags: Festive flurry, Stampin' Up! I love this card – Nordic style is fabulous and your card is just spot on! Gill – love them both! The bold red snowflake heart reminds me of some ornaments that I saw at Bronner’s Christmas store in Frankenmuth (a truly wonderful place)! I love the paper on the first one and the ribbon detail on the second. Great work. Oh wow these are gorgeous! I love the Nordic theme! So pretty! 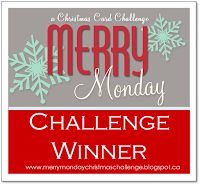 Thanks for playing our Christmas Card Challenge! Love your Nordic Christmas cards with their clean crisp lines and bold colours. The stitching on the heart motif just makes them. Both of your cards are fabulous! I wouldn’t have thought to use the snowflake image on the heart die cut, but it fits perfectly – and it looks terrific with your faux stitching. I love Nordic designs and these are beautiful cards. I’d find it hard to pick one. Great use of ribbon and thanks for joining us at Holly Jolly Christmas. These are both very Nordic and very gorgeous, but I particularly like the DP on the first one…no… I LOVE the DP on the first one! Such lovely paper and perfect, as you say. The red heart is so pretty, I’d like to try something similar. I still need plenty of cards. These are beautiful! Thank you for joining us at the ABC Christmas Challenge.